A collaboration between our students in The Cass Studio 8 and Professor Oliver Klimpel's Klasse System-Design at the Hochschule für Grafik und Buchkunst, Leipzig. 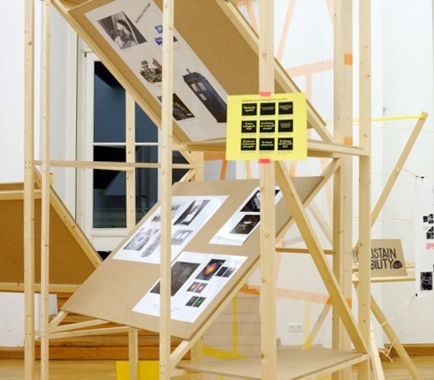 The exhibition News from Nowhere ran from 19th - 26th November 2012 as the culmination of an interdisciplinary workshop. Five display structures were designed and built by the students, then used as the basis of a joint exhibition of the work of the two studios; the structures will be adapted and re-used in future exhibitions.